I realized not long back that I have an unchecked list in my head, a list of things that only other people bake. As in… a list of things that for some reason, thanks to a laundry list of reasons and excuses, I don’t know how and shouldn’t attempt to bake. On that list is baguettes (to be honest, I really don’t have the right oven for it), Doberge Cake (if you don’t know you better ask somebody), bagels (really good bagels), this seemingly insane Russian Honey Cake, and Chocolate Babka (because what is going on with that filling and that magical twist!?). Why build road blocks? Ain’t nothing wrong with a good hard try, amiright? Here’s to acknowledging that list, looking it straight in the face and getting after it. I spend the better parts of September and October demystifying bagels for myself. Recipe test after recipe test I found that Peter Reinhart’s proportions and rest were the easiest to work with in my kitchen, and absolutely essential: diastatic malt powder. Let’s call that ONE impossibility checked off the list. This month, BABKA – and we’re coming in through the sidehatch. We’re making a buttery enriched dough, folding in a melted chocolate + chocolate cookie mixture, folding, slicing, and piling into a muffin tin. These are good! We’re working towards a loaf pan, but these muffins are mighty indeed. • a soft yeasted dough with butter, milk, and eggs. • and a buttery crumble topping. We’ve made a lot of this yeasted dough together. For a step-by-step, holler at these Cream Cheese Cinnamon Rolls. Everything goes in a bowl and the magic of eggs and milk and butter makes for a slightly sticky, soft and tender dough. Here’s one of my baker tips: when making a filling or topping, I make twice as much as I need and save a batch of filling and topping in the freezer for my future self. Then! When I decide I’m a genius and need more babka rolls, I only have to have the yeasted dough because the filling and topping are waiting for me in the freezer. The recipe below reflect the inflated filling and crumble amounts. For our filling – butter is melted with milk and bittersweet chocolate. Good good great. We’ll add a dash of ground cinnamon and a few big spoonfuls of honey. Now… things need to cool. The chocolate mixture needs to cool to room temperature before stirring in the cookie crumbs. A cooled chocolate will create a thick and spreadable filling. Want to talk about these chocolate cookie crumbs? Many recipes call for chocolate wafers crumbled finely. I find that Oreo cookies are often easier to find than chocolate wafers so… you guessed it… I removed the cream filling from the Oreos and ground the cookies in a food processor to a fine crumb. I was a Girl Scout. I’m nothing if not savvy, resourceful, and good at memorizing pledges. Stir the cookie crumbs into the melted chocolate. Stir and stir. The mixture will thicken to spreadable and if it doesn’t, allow the mixture to cool to room temperature further. You can throw the mixture (not literally) into the refrigerator to speed up the cooling process as long as you stir the mixture every 15 minutes or so for even cooling. After a rise to double, the dough is rolled to a 18×12-inch (ish) rectangle. You’ll want the long side facing you. That’s where we’ll spread and fold from. The chocolate mixture (listen… we already feel like successes, don’t we?) spreads across the rolled dough. And we’re folding the dough, from its longest side, into four. This will be like rolling a cinnamon roll but instead of a tight coil, we’re folding the dough upwards in four quarters on top of itself. We’re creating a flat fold from the long side of the dough. Chocolate filling inside. Now! We’re going to do something that feels impossible. From the length of the rolled dough (we should be at about 18-inches, right) we’ll make 24 thin vertical slices. 24 slices because we want two dough pieces to go into each of the 12 muffin tins. Divide the flat dough log in half and slice each half into 12 pieces. For extra insurance, the muffin cups are greased and floured. We’ve come so far, the last thing we want is for these beauties to stick! With a pinch of each dough piece, two are layered per muffin tin. Preheat the oven to 375 degrees F for about 20 minutes, allowing the prepared dough to rest at room temperature, rising just slightly while the oven heats. Bake and enjoy! Wrap the pan in plastic wrap and place in the refrigerator to slowly proof overnight. In the morning, take the pan out of the refrigerator, preheat the oven. Allow the rolls to come to room temperature before baking and enjoying! But before out bake: a cinnamon crumble streusel. This mixture of flour + brown sugar+ butter is optional but encouraged. Into the oven to raise, brown and bubble! Allow the rolls to cool in the pan. They set. They’ll get to be friends. Run a butterknife around the edges of each cup and coax each muffin out. This is exciting. Treat yourself. Have a warm muffin. Tender dough. Chocolate filling, a lightly crisp top. Let’s check one thing off the Bake List. 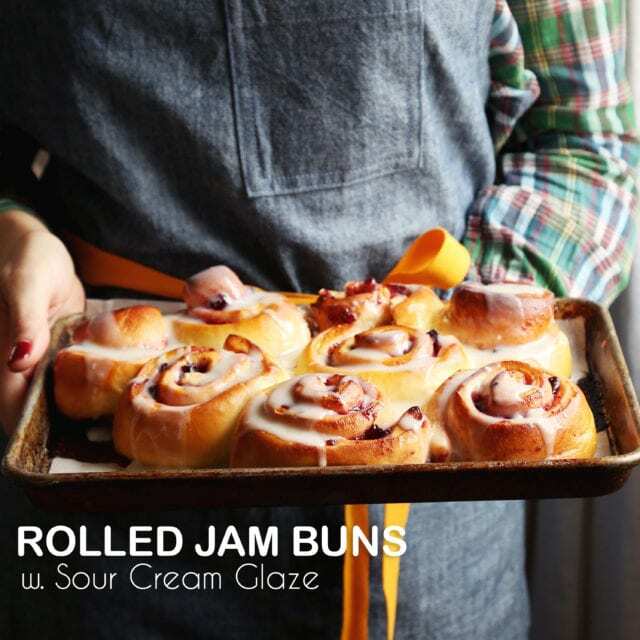 If you make these (on your holiday break, perhaps!?) share a picture with me on Instagram! I can’t wait to see what you make! In a small bowl, stir together yeast, warm water, and a pinch of sugar. It’s ok if the mixture is lumpy, we’re just trying to activate the yeast. Allow to sit for 5 minutes until it’s lightly foamy and bubbly. In a large mixing bowl (I used just the bowl of my stand mixer) whisk together 2 cups flour, sugar, and salt. Set aside. In a small saucepan, melt together milk and butter until butter has just melted. Remove from the heat and add vanilla extract. Let mixture stand for about 5 minutes to cool, or until the mixture registers about 115 to 125 degrees F- warm to the touch. Pour the milk mixture into the dry ingredients. Add the yeast mixture too and mix with a spatula. Add the eggs and place the bowl in your stand mixer fitted with a dough hook. As the mixture beats on low speed, add an additional cup of flour. Beat the mixture until the eggs are incorporated into the batter. The eggs will feel soupy and it’ll seem like the dough and the eggs are never going to come together. Keep mixing. The dough will stick to the sides of the bowl. Stop the mixer and scrape down the sides of the bowl. Add up to 1/2 cup more flour and beat in. The dough will be lightly tacky and slightly sticky after 5 minutes of kneading in the mixer. That’s right! Place the dough is a large, greased bowl. Cover with plastic wrap and a clean kitchen towel. Place in a warm space and allow to rest until doubled in size, about 1 hour though the time will be longer if your kitchen is cool. While the dough rests, make the chocolate filling. In a heatproof bowl over a double boiler, melt together the two chocolates and butter. Stir until smooth and glossy. Remove from the heat and stir in the salt, cinnamon and honey. Let the chocolate cool to room temperature. This step is important. We’ll need the chocolate at room temperature before we add the cookie crumbs so the mixture finished is thick and spreadable. Give the chocolate about 30 minutes to come to room temperature. Stir in the chocolate cookies which should make the chocolate mixture thick but still spreadable. You can also make the cinnamon crumble topping now! In a medium bowl toss together flour, brown sugar, cinnamon, nutmeg, and salt. Add the cold butter and use your fingers to work the butter into the dry ingredients, creating a crumbly mixture. Set aside. To assemble the muffins, start by rolling out the dough. Once the dough has nearly doubled in size, knead it gently on a well floured work surface. Use a floured rolling pin to roll the dough into a roughly 18×12-inch rectangle, keeping the 18-inch side closest to you. Spread generously with filling. You’ll have enough filling for two babka recipes, so divide the filling in two and save the rest in a freezer safe bag for future use. Now we’ll roll up the dough. Starting from the 18-inch side, we’re going to fold the upwards in fourth. Like you’d roll a cinnamon roll, but we’re making four big, flat folds. Fold the dough upwards in fourth. You’ll end with a roughly 18-inch long flat log. Use a bench knife or a large sharp knife to divide the dough in half vertically. And slice each half into 12 even pieces. You’ll have 24 small vertical slices of dough. Lightly grease and flour a standard muffin tin. Layer two pieces of babka dough into each muffin cup, pinching the dough to expose the filling and layering the pieces atop one another. Repeat until all the muffin cups are filled. Sprinkle each muffin cup with half of the crumble topping. Save the remaining crumble topping in a freezer safe bag for your future self. MAKE AHEAD! At this point, you can cover the pan in plastic wrap and place the pan in the refrigerator to bake tomorrow morning. When you’re ready to bake, place the pan on the counter to come to room temperature while the oven preheats and proceed. Place a rack in the upper third of the oven and preheat oven to 375 degrees F. Allow the muffins to rest and rise just slightly while the oven preheats for 20 minutes. Bake for 16 to 18 minutes until the muffins have risen, are golden and bubbling. Remove from the oven and allow to cool for at least 15 minutes before using a butter knife to coax them out of a pan for serving. These are best enjoyed the day they’re made though they’re also delicious heated up the next day! 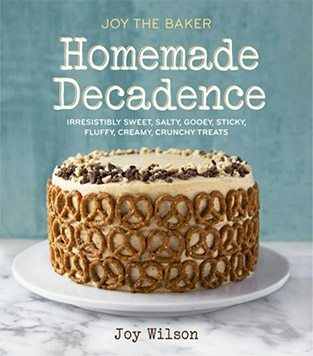 I’ll have to add this to my baking bucket list! I love babka but haven’t tried it in a muffin form. You are a genius! Annnnnnnd puuuuhlease do a doberge cake. There are very few good recipes/tutorials online. Not to mention the most massive baking fail ive had was trying recreate my wedding cake from Debbie Does Doberge. ? Omg those look absolutely mouthwatering and amazing. Need to try those. What a beautiful idea making chocolate babka as muffins! These look incredibly delicious ? I’m so impressed! Props to you for giving it a go! Also loving the tip about making twice the filling or topping. That would definitely motivate me to make them again! Beautiful! I too have a list of things that I feel I cannot make and this was always on that list. Thanks for breaking it down! Heaven in a muffin pan ! These look amazing! I couldn’t help but chuckle as I read about taking the filling out of the Oreos. I know full well that I would make it my mission to eat all of that filling so that nothing would go to waste! lol! That’s so funny because last year as I was packing up my life in Chicago, I made it my mission to make a babka in my apartment before the big move. Success! Double chocolate. I’d actually argue that these muffins are harder, so you’re totally ready for a loaf. Was totally planning on making chocolate babka for Christmas but these look intriguing, will have to try! Thank you for the kindness! Really all I want to do in life is help people feel confident in the kitchen! Saw on Instagram yesterday and couldn’t wait until today! yum, yum, yum! Thank you Joy!! Joy, these are gorgeous! I have (as we all do) so little time but with so much to do between now and Christmas that when I saw a dish towel that said “f***ity, f***, f***, f***”, I couldn’t help but laugh out loud! But these muffins are now going on my must do list. Thank you for sharing these beauties. Happy holidays to you! What a yummy idea! You are the very best baker I know!